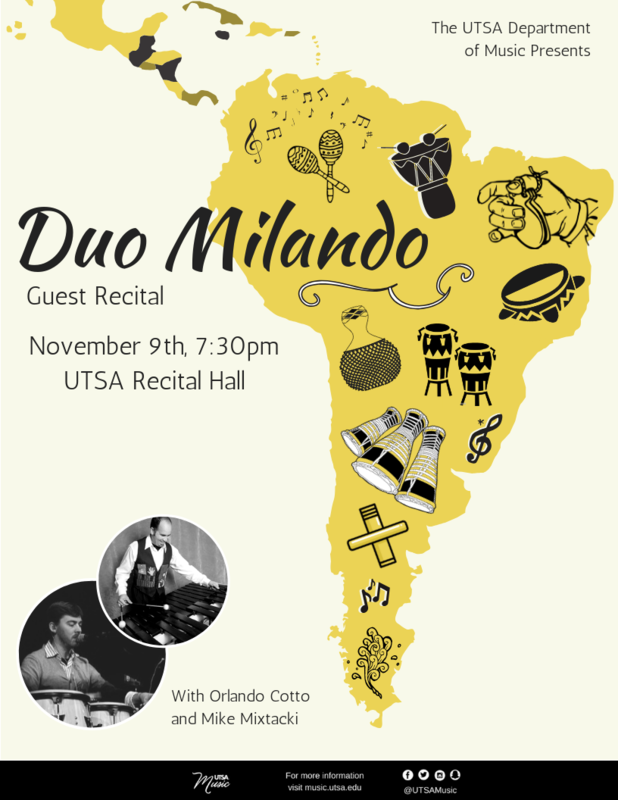 Duo Milando will present an evening of Latin American percussion music featuring guest artist Orlando Cotto and UTSA Percussion faculty Michael Mixtacki. The duo will perform dynamic percussion arrangements of music from Cuba, Brazil, Argentina and Puerto Rico. Orange Music Convocation and Concert Attendance Credit.